The IDEA World Fitness Awards are the industry’s highest recognition for fitness professionals. Applicants are selected by a panel of judges for three categories of awards: Personal Trainer of the Year, Fitness Instructor of the Year and Program Director of the Year. Do you walk the talk, inspire others and make a difference in your community? Check out the application details at www.ideafit.com/idea-awards-application. Apply yourself or nominate someone who has made a considerable contribution to the fitness industry! The application deadline is January 1, 2012. 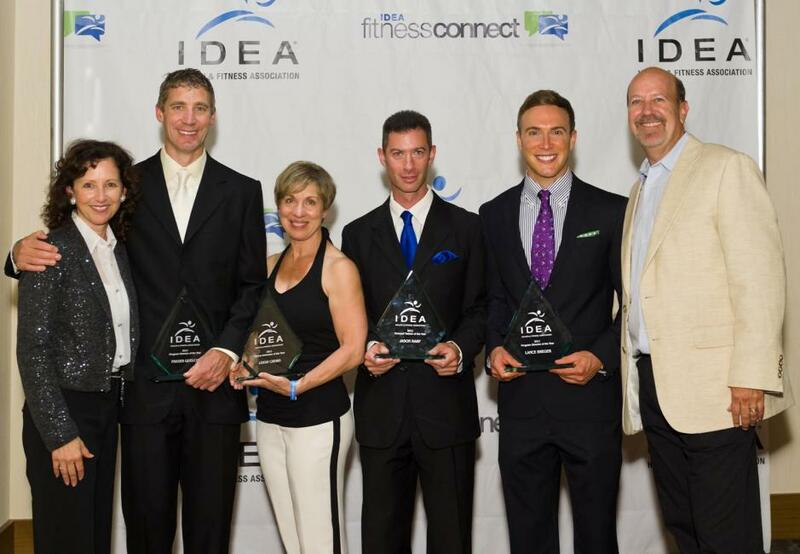 Photo: Kathie Davis (far left) and Peter Davis (far right) with 2011 IDEA World Fitness Award recipients Fraser Quelch, Leigh Crews, Jason Karp, PhD, and Lance Breger, MS.